Save a tree - get your Lyric news and updates by email! 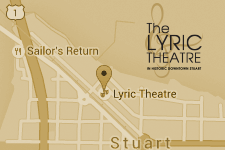 Sign up for our E-News and be the first to know about updates as well as additions to the Lyric Theatre's arts programming. We value your input too - please check the boxes to let us know what you'd like to see more of!